Maryland Gov. Martin O'Malley, who is considering running for president in 2016, reported Tuesday that his political action committee raised about $796,000 in the second quarter of this year. 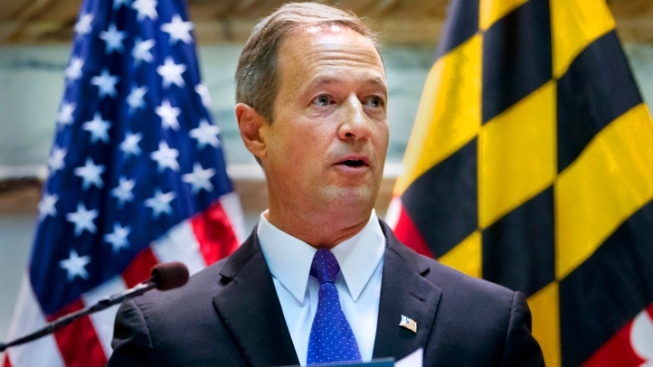 The second-quarter amount, which represents funds raised from April through June, is significantly higher than the $104,200 O'Malley reported raising for his PAC in the first three months of the year. He did not solicit money during Maryland's 90-day legislative session, which ended April 7. O'Malley, a Democrat, now reports having about $894,830 cash on hand in the PAC, which is called O' Say Can You See. O'Malley has a federal account as well as a non-federal one for his PAC. He reported raising about $258,670 for his federal account and about $537,360 in his non-federal account in the second quarter. He raised a total of about $1.7 million last year. In addition to his own fundraising efforts, O'Malley hosted fundraising events for some Democratic candidates outside of Maryland and for the Democratic Governors Association, which he chaired for two terms while governor. O'Malley hosted a fundraising event for New Hampshire Gov. Maggie Hassan in May. He also hosted fundraisers in June for three Democratic gubernatorial candidates: Vincent Sheheen in South Carolina, Mark Schauer in Michigan and Jack Hatch in Iowa, home to the lead-off presidential caucuses. O'Malley is scheduled to host a fundraiser later this month with House Minority Leader Nancy Pelosi on Maryland's Eastern Shore for five Democratic congressional candidates. O'Malley is term limited. His second term as governor ends in January.